If you’re looking for more of Thrashzone in Yokohama, then having Thrashzone Meatballs here will sort you out perfectly. It doesn’t offer much compared to the other bars in the area besides heavy metal music and some high ABV beers. With no table charge and taxes included in the price, along with cash on delivery, then there are no sudden surprises at the end of the evening, except for being drunk. However, it’s great to finally see some decent food at the bar as it could do with something besides nuts. And there’s no happy hour, but at these prices, do you really need one? Like concrete and wood? Good. When I first heard about Thrashzone Meatballs, all I knew was that “Thrashzone is opening a new branch in Kannai” and that was it. To say Katsuki-san didn’t want any PR about this bar was not a surprise considering how well Thrashzone Yokohama has done without much advertisement beside word of mouth. For a couple of weeks, Thrashzone Meatballs was threatening to open, then not, then suddenly it did and after a mini-bar crawl across Kichijoji, BeerTengoku got down to the bar for the opening night – usually something we tend to avoid due to initial teething problems of bars and service. 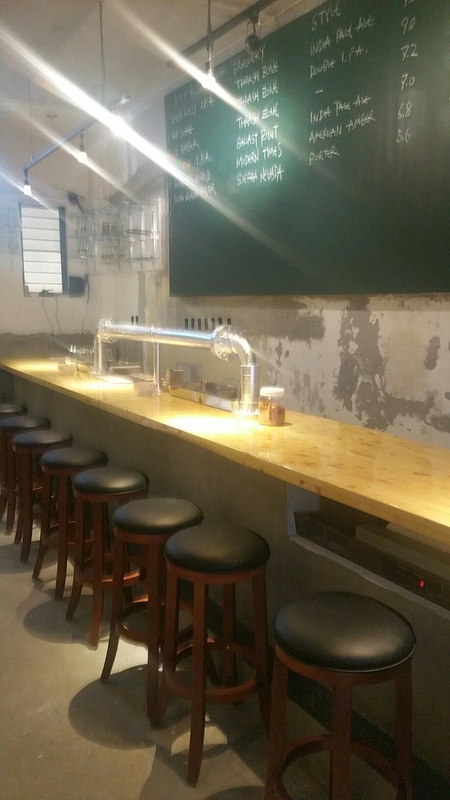 Without wanting to retread much of our Thrashzone Yokohama review, the Kannai branch is decked out in the same concrete decor and with a similar spartan atmosphere though this branch is much bigger – perfect for the post Yokohama Baystars pint. The bar is located about two minutes from the stadium on the south side of Kannai station. The bar has space for about ten people at the counter with plenty of standing room around the bar. On the day we went, there were only six taps on though there is space for about fifteen or so. 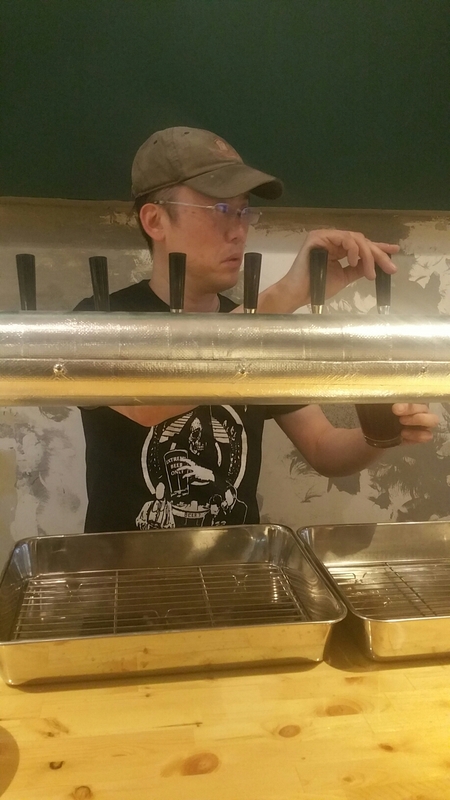 The beers were primarily Thrash Zone Brew Labo beers with a couple of imports thrown in as well. Prices were the same with the in-house beers are good and well-priced at ¥700/¥800 for a US pint size serving, and half size at ¥500/¥600. Imports are going to follow the same price at ¥1000~¥1200/¥700~¥900 respectively. The sub – 5 balls, provolone cheese, and some garlic tomato sauce. The only downside on going on the first day was the lack of actual meatballs. The plan is to use a takoyaki grill to cook the meatballs in the window of the shop and serve them fresh. After managing to back after a Baystars came, the food at Thrashzone Meatballs is decidedly delicious. There is only style of meatball on at the moment, though there are plans for more in the future. The sub is very much recommended and comes served with a few tortilla chips and half a pickle too. For those who don’t want some juicy balls, then there is also the complementary nuts as well, though a small donation is recommended. The closest station to Thrashzone Meatballs is JR Kannai on the Keihin-Tohoku line. Take the south exit and turn left out of the station and then right after the Yokohama City Government building. Cross the road and take the first left.